What did you do to the GD Fit today? Since the GE guys have this on their thread i thought i would bring it here! "Just fill in whatever you done to your fit today. 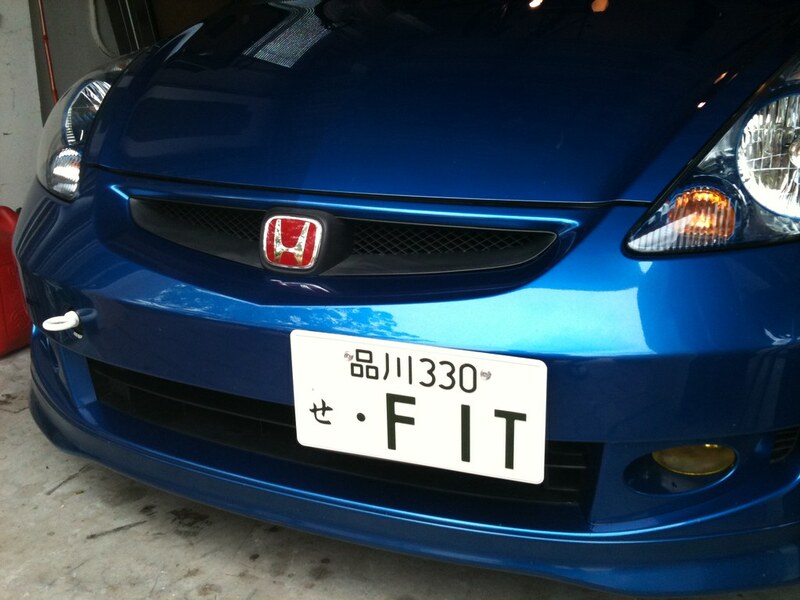 If its a modification, washed it, drove, anything chime in. Could be a fun thread to see peoples progress/activity." Last edited by Scala; 04-19-2010 at 03:24 PM. Clean I like the shift knob! Nice Clean car! 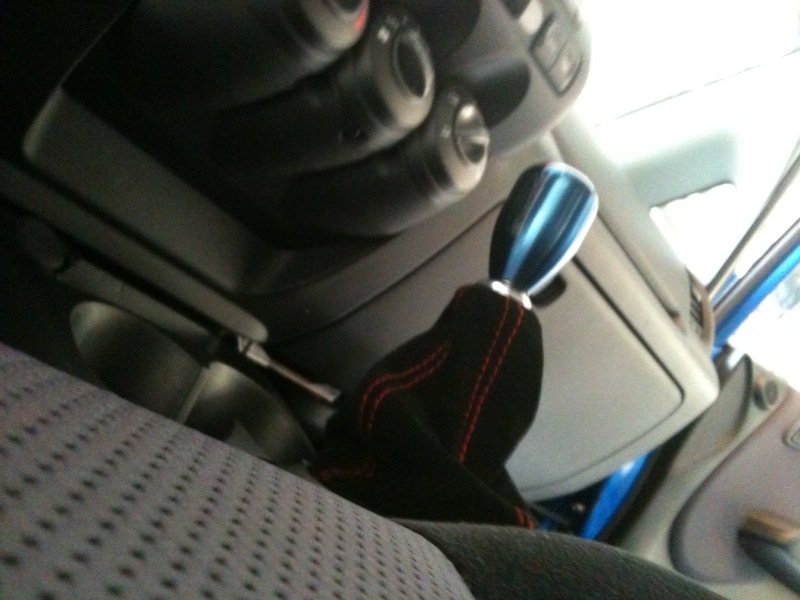 I love that shift knob! thanks dude! post your pics! I posted fitfreak flyers on three GD's on campus! lol! haha sweet! modded or stock? All stock, I want to see some modded fits around here and maybe fitfreak can help influence! Today I let my Fit sit in the garage and used the motorcycle to get around on. Discovered a 6" crack on my windshield. Drove Aibo from the mountains of Baguio and La Trinidad back to Manila...ten hours and 300 km of driving. Got 15.133 km/L - or 35 mpg! Hey kinda new to the fit. Bought a 07 SSM Sport already lowered on Tanabe springs and Tanabe medallion axle back. I also installed my HIDs and had my foglight housing painted black. Cleaned the wheels, as i do everyday. White is a horrible color to try and keep clean. Later on will be fixing the wink mirror, or taking it out, depending on how frustrated I get. ahahahaha thats great. Women and their crap. sweet great deal i actually have Tanabe DF210 springs and the Tanabe Medallion axle back! Today I drove it to work, the past month has been rather eventful tho. JDM console, jdm ctr shift boot w/ matching collar, yellow foglight film, i <3 driving slow license plate frame, new wheels/tires, bought parts for retrofit. 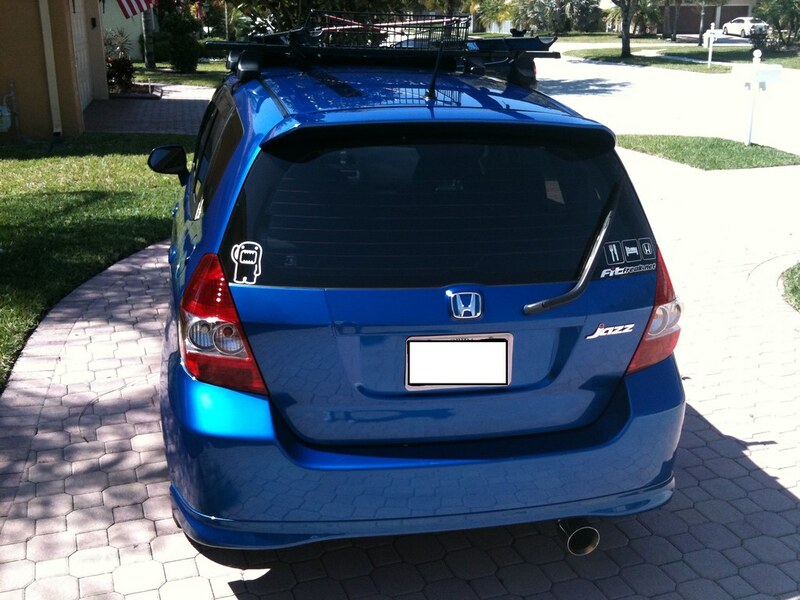 I washed my Fit and put the stock muffler back on. I'm taking a 800 mile trip with my Fit in 2 weeks and I dont like the drone on that long of a drive. For some reason my passenger front wheel had a ton of brake dust. Quick Reply: What did you do to the GD Fit today?